Eberbach, C.E. & Crowley, K. (in press). From seeing to observing: How parents and children learn to see science in a botanical garden. Journal of the Learning Sciences. Allen, L.B. & Crowley, K. (2017). From acquisition to inquiry: Supporting informal educators through iterative implementation of practice. In P. Patrick (Ed), Preparing Informal Educators: Perspectives from Science Communication and Education. New York: Springer. Knutson, K, Lyon, M., Crowley, K., & Giarratani, L. (2016). Flexible interventions to increase family engagement at Natural History museum dioramas. Curator: The Museum Journal. 59 (4), 339-352. Brahms, L. & Crowley, K. (2016). Making in the Museum: Launching a learning trajectory in an informal setting. In K. Pepler, E. Halverson, & Y. Kafai (Eds). Makeology in K-12, Higher, and Informal Education: The Maker Movement and the Future of Learning. Routledge. Tison Povis, K. & Crowley, K. (2015). Family learning in object-based museums: The role of joint attention.Visitor Studies, 18 (2), 168-182. Crowley, K., Pierroux, P., & Knutson, K. (2014). The museum as learning environment. In K. Sawyer (Ed. ), The Handbook of the Learning Sciences, 2nd Edition. Allen, L. B. & Crowley, K. (2014). How museum educators change: Changing notions of learning through changing practice. Science Education, 98 (1), 84-105. Louw, M. & Crowley, K. (2013). New ways of looking and learning in natural history museums: The use of gigapixel imagingto bring science and publics together. Curator: The Museum Journal, 52(1): 87-104. Knutson, K., Crowley, K., Russell, J., & Steiner, M.A. (2011). Approaching art education as an ecology: Exploring the role of museums. Studies in Art Education, 52 (4), 310-322. Kim, K.Y. & Crowley, K. (2010). Negotiating the goal of museum inquiry: How families engineer and experiment. M.K. Stein & L. Kucan (Eds). Instructional Explanations in the Disciplines. New York: Springer. Knutson, K. & Crowley, K. (2010). Connecting with Art: How families talk about art in a museum setting. M.K. Stein & L. Kucan (Eds). Instructional Explanations in the Disciplines. New York: Springer. Knutson, K. & Crowley, K. (2006). Bridging the gap between museums and visitors: A response to Meszaros's 'The evil “Whatever” interpretation.' Visitor Studies, 9(3), 16-17. Sanford, C., Knutson, K., & Crowley, K. (2007). We Always Spend Time Together on Sundays: Grandparents and Informal Learning. Visitor Studies, 10(2), 136-151. Palmquist, S.D. & Crowley, K. (2007). From teachers to testers: Parents' role in child expertise development in informal settings. Science Education, 91(5), 712-732. Palmquist, S. D. & Crowley, K. (2007). Studying dinosaur learning on an island of expertise. In R. Goldman, R. Pea, B. Barron, & S. Derry (Eds. ), Video Research in the Learning Sciences (pp. 271-286). Mahwah, NJ: Erlbaum. Leinhardt, G. & Knutson, K. (2006). Grandparents speak: Museum conversations across the generations. Curator, 49 (2), 235-252. Eberbach, C.E. & Crowley, K, (2005). From living to virtual: Learning from museum objects. Curator, 48 (3), 317-338. Knutson, K. & Crowley, K. (2005). Museum as learning laboratory: Developing and using a practical theory of informal learning. Hand to Hand, the publication of the Association of Children's Museums, 18(4), 4-5. Crowley, K. & Knutson, K (2005). 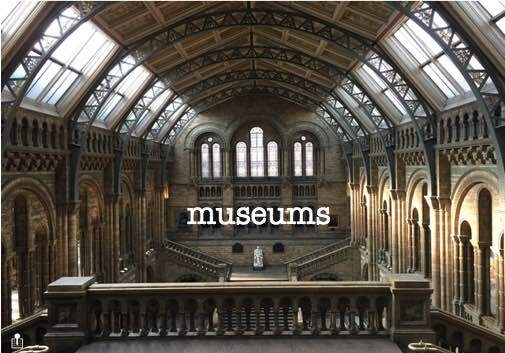 Museum as learning laboratory: Bringing research and practice together. Hand to Hand, the publication of the Association of Children's Museums, 19(1), 3-6. Knutson, K. & Crowley, K. (2004). Review of Behind the Scenes at the Science Museum. Science Education, 88 (2), 297-300. Leinhardt, G. & Knutson, K. (2004). Listening in on museum conversations. Walnut Creek, CA: Altamira Press. Swartz, M. I. & Crowley, K, (2004). Parent beliefs about teaching in a children's museum. Visitor Studies, 7(2), 1-16. Leinhardt, G., Crowley, K., & Knutson, K. (Eds.) (2002). Learning conversations in museums. Mahwah, NJ: Lawrence Erlbaum Associates. Crowley, K., Callanan, M.A., Tenenbaum, H.R., & Allen, E. (2001). Parents explain more often to boys than to girls during shared scientific thinking. Psychological Science, 12 (3), 258-261. Crowley, K., Callanan, M.A., Jipson, J., Galco, J., Topping, K., & Shrager, J. (2001). Shared scientific thinking in everyday parent-child activity. Science Education, 85 (6), 712-732. Crowley, K. & Galco, J (2001). Everyday activity and the development of scientific thinking. In K. Crowley, C. D. Schunn, & T. Okada (Eds. ), Designing for science: Implications from everyday, classroom, and professional settings (pp. 393-413). Mahwah, NJ: Erlbaum. Crowley, K. (2000). Parent explanations during museum visits: Gender differences in how children hear informal science. Visitor Studies, 3 (3), 21-28. Crowley, K. & Callanan, M.A. (1998). Identifying and supporting shared scientific reasoning in parent-child interactions. Journal of Museum Education, 23, 12-17. Funding provided by: National Science Foundation, Institute of Museum and Library Services, Carnegie Museum of Natural History, Children's Museum of Pittsburgh, National Endowment for the Arts, National Endowment for the Humanities, Grable Foundation, Heinz Endowments, et al.